This book…sort of like your scariest nightmares…on crack! That's what this entire book is like. The pacing is too fast in one aspect, but in another, it's what kept me listening…because I knew it would be over soon. 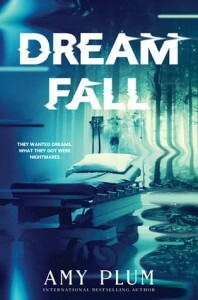 The audiobook has three different narrators, two are characters are in the Dreamfall and one is an observer who is a college intern watching the procedure. The latter perspective kept the book from being all-out chaos. Overall, I'm not sure how I feel about this book and that's why I went with a three-star rating. It's an adrenaline rush to be sure.